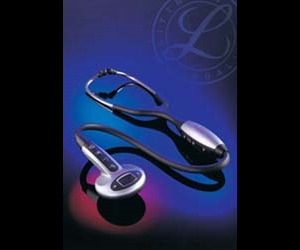 Read this medical students testimonial for the 3M Littmann electronic stethoscope using the amplification and ambient noise reduction capabilities! "My hearing loss and its impact on my studies and chosen profession is something that obviously concerns me a lot and I have been very grateful for the supportive and practical way in which you and your colleagues at Littman have helped me in this regard. "I thought my hearing loss would mean I would have to give up my medical studies. It's early days yet but I find the new 4100WS stethoscope really beneficial not just in being able to hear sounds that would otherwise be inaudible to me but also in giving me confidence that I am not missing things that people with normal hearing can hear and I may not. 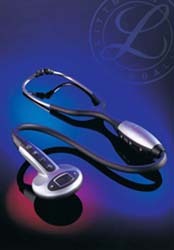 The ability to record and review sounds is an invaluable learning tool and the shape and size of the stethoscope looks "hi-tech" rather than a disability aid- an important feature to me and also perhaps in patient perceptions."